In behalf of St. Anthony of Padua parish staff, my family and I extend a sincere thank you to all individuals, families, and ministries who contributed so generously gifts of time, treasure, and talent. Most of all we thank you for your prayers. 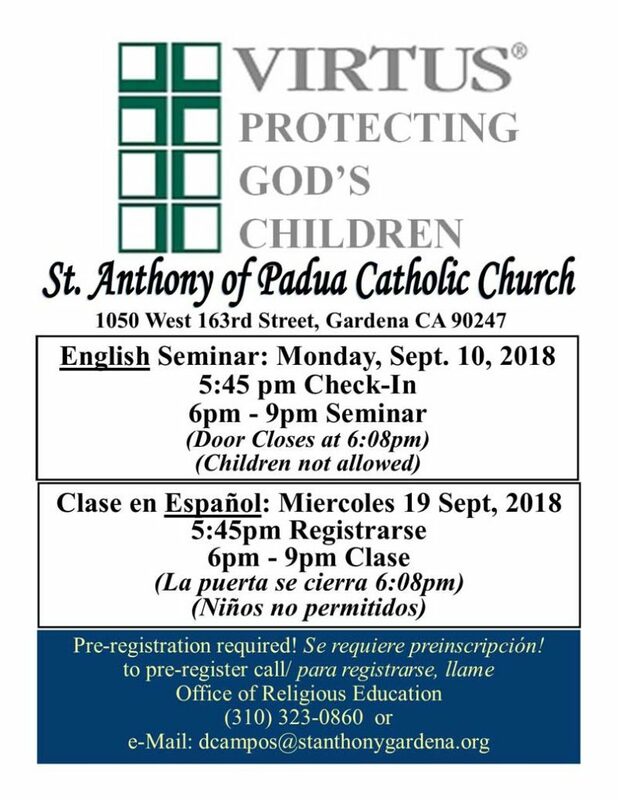 There will be a VIRTUS seminar at St. Anthony of Padua Catholic Church on Monday, September 10th. Pre-registration is required. 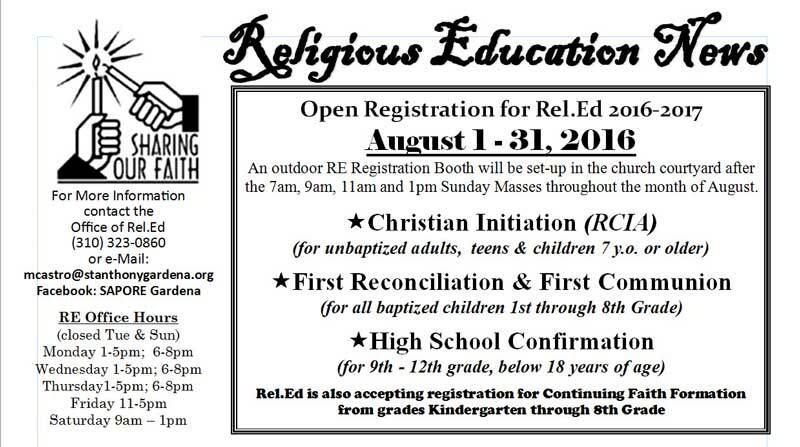 Open registration for Religious Education 2016 - 2017 will be from August 1 thru August 31. 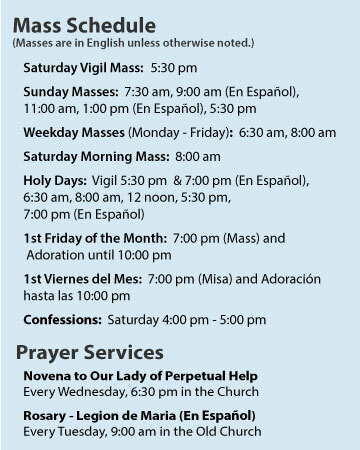 An outdoor RE Registration Booth will be set up in the church courtyard after the 7am, 9am, 11am and 1pm Sunday masses through the month of August. The 2016 Summer Scripture Study Series, "Discovering Mary in Scripture", begins July 11th. 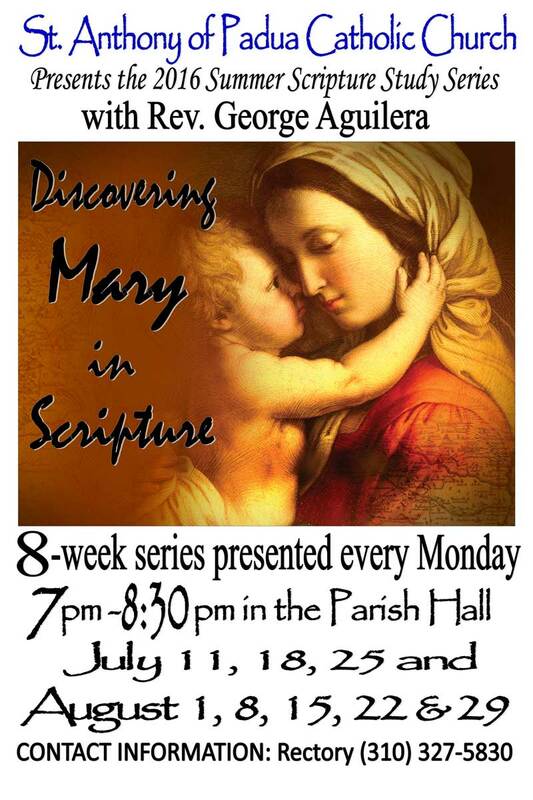 The 8 week series will presenting every Monday, 7:00 pm - 8:30 pm, in the Parish Hall. Congratulations to Our Fiesta 2016 Raffle Winners! We would like to congratulate our Strawberry Park Days Fiesta 2016 Raffle winners! Please present a valid ID to the rectory to claim your prize. 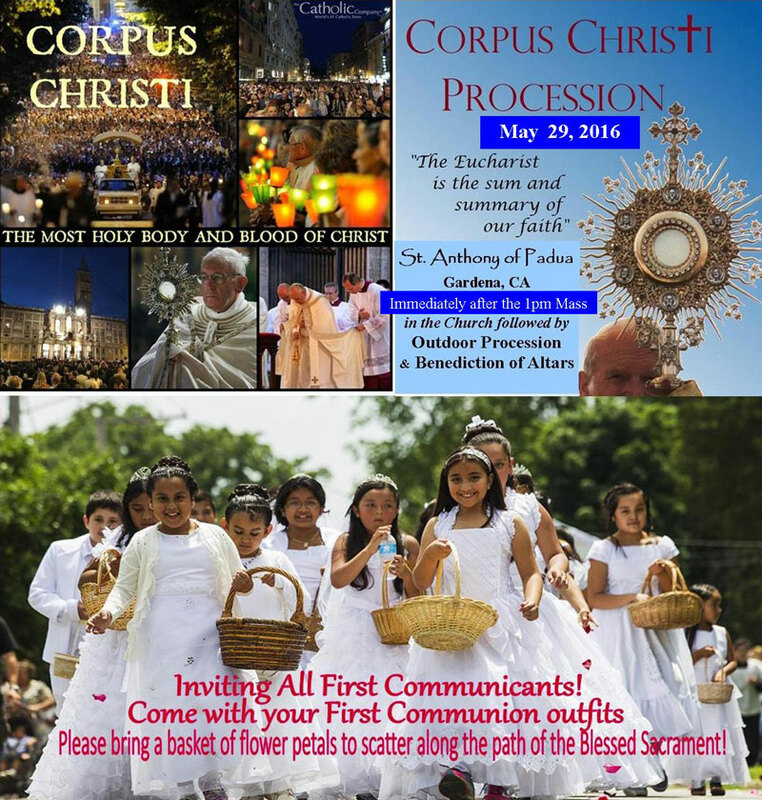 We invite you to attend the St. Anthony of Padua Church Corpus Christi Procession, which will be held on Sunday, May 29th, immediately after the 1:00 p.m. Mass. This is a placeholder for slide 3. This is a placeholder for slide 3. This is a placeholder for slide 3. This is a placeholder for slide 3. This is a placeholder for slide 3. This is a placeholder for slide 1. This is a placeholder for slide 1. This is a placeholder for slide 1. This is a placeholder for slide 1. This is a placeholder for slide 1.